Our latest grants to support women & girls. The WGC is a fund that gives grants … it’s what we do! We've been part of the Howard County community for over 18 years, have raised over $1 million to support our efforts from over 1,000 donors, and have given over 100 grants to nonprofits that support women and girls in our community. Since 2002 the WGC has granted over $350,000 to programs that benefit women and girls in Howard County. 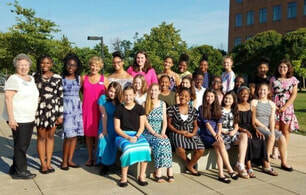 Journey Camp for Girls – a week-long summer leadership camp for girls entering 8th and 9th grade, in partnership with Maryland Leadership Workshop. JA Rising Women – our multi-year grant supporting a 13 week after-school entrepreneurship program for girls grades 8-12, in partnership with Junior Achievement. Emergency Response Network - WGC donors have addressed the needs of women clients identified by our nonprofit partner agencies serving women and girls in Howard County. Continuing Education for Women – a women’s scholarship program, providing financial aid to women seeking job-related courses, in partnership with Howard Community College. Girl Power! – a one day STEM expo for middle and high school girls, in partnership with the Applied Physics Lab and the Maryland Space Business Roundtable. Journey is a week-long summer leadership camp for girls entering 8th and 9th grade, in partnership with Maryland Leadership Workshop. This past summer had a full group of 25 girls. In 2018 we started a Scholarship Fund in memory of our beloved former Advisory Board member Cindy Hankin and gave over $5,000 towards scholarships this year. We had a follow-up Journey Tea in August where the girls honored five amazing women. 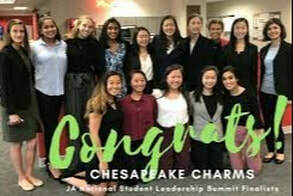 JA Rising Women is our multi-year grant supporting a 13 week after-school entrepreneurship program for girls’ grades 9-12, in partnership with JA of Central MD. Over 100 young women have gone thru this incredible program. WGC has agreed to continue our relationship for another 3 year grant in part to a very generous donation of $25K from Bob and Bach Jeffrey, and a recently announced additional $25K grant from the Jeffreys to continue WGC funding for the program for another three years. The newly enhanced WGC ERN was created 15 years ago in response to the desire of many women to provide direct help to other women in need in our community. WGC donors have addressed the needs of women clients identified by our nonprofit partner agencies serving women and girls in Howard County. The past 6 months of 2018 alone we sent 6 requests and raised over $4,000 to assist women in need. Our women’s scholarship program provides help to low- and moderate-income women seeking job-related courses, through our long-time partnership with Howard Community College. 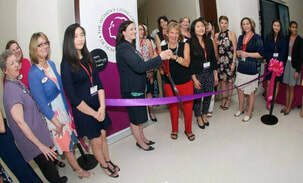 In 2018, as part of this important relationship, we held a ribbon-cutting ceremony for our newly named Women’s Giving Circle classroom in advance of the Community Foundation of Howard County's Annual Spring Party. We had a lovely night celebrating our funding partnership. Learn more. Girl Power! 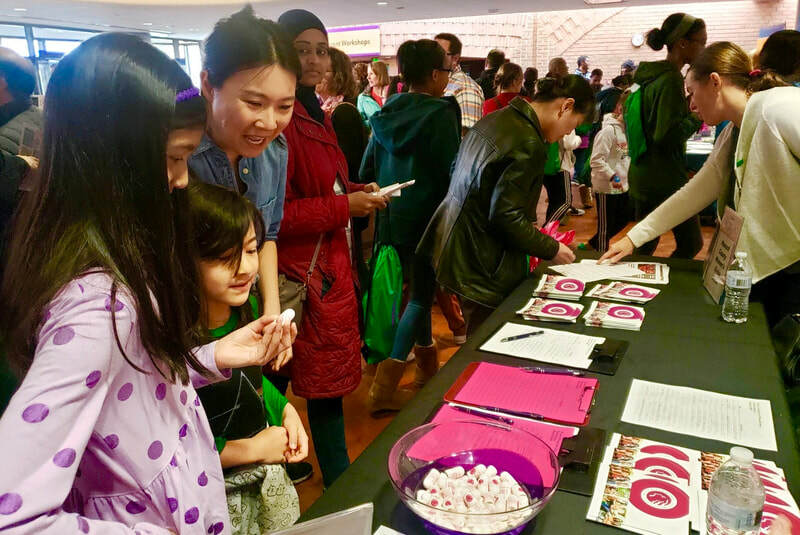 is a one-day STEM expo for middle and high school girls, that WGC hosts in partnership with the Applied Physics Lab and the Maryland Space Business Roundtable. The event features hands-on activities, cool demonstrations, and take-home material for the girls to encourage an interest in STEM careers. 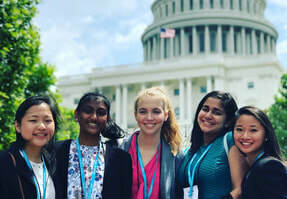 Girls have the opportunity to talk to professional women in STEM careers such as aerospace, computer science, electrical engineering, geology, information technology, and space mission engineering. The 2019 Girl Power! had over 800 girls participate in this growing program! The WGC’s grant focus is on programs that increase the life skills of women and girls, encourage the healthy development and personal authority of young girls and raise the awareness of gender disparities in our community. The WGC is an endowed fund at the Community Foundation of Howard County. A portion of each donation made to the WGC goes to the endowment to ensure that money to fund programs that benefit women and girls will be there in perpetuity. WGC does not accept grant proposals. Instead, WGC proactively identifies issues it wants to address and invests grant dollars in projects and programs for maximum impact. WGC works in partnership with other institutions and organizations to advance its mission and address the needs of women and girls, as well as making grants to fund programs. 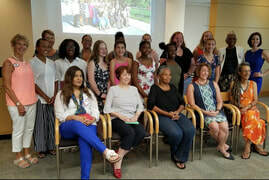 ​Education-based philanthropy is the cornerstone of the WGC’s grantmaking, thus WGC sponsors and co-sponsors programs, events and activities that advance understanding of the issues affecting women and girls in Howard County.